People who live near hydraulic fracturing operations are two times as likely to report health issues, says new study. According to the findings of a random survey that was led by Yale University and involved 492 people in 180 households in southwestern Pennsylvania with ground-fed water wells, 39% (almost two of every five) of those who live less than 1 kilometer (km) from a natural gas fracking well reported upper respiratory problems compared to 18% who lived more than 2 km away from wells. Skin problems were also reported by those living close to wells. As for skin irritation, the study learned that 13% of those who live within a kilometer of a well stated that they had experienced skin problems, such as rashes and other issues. Meanwhile, only 3% of people that live more than 2 km said they experienced similar issues. However, the professor pointed out that the findings of the study do not prove that the fracking wells are the cause of the symptoms and that further research is needed. Fracking has been linked to many health concerns. 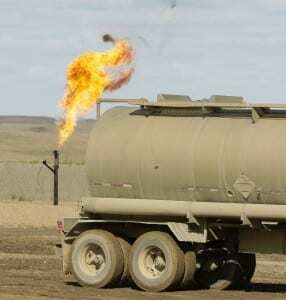 Previous peer-reviewed studies have connect hydrofracturing to drinking water contaminated by methane, higher risk of lung disease, increased endocrine-disrupting chemical activity in groundwater, and potential birth defects. Many environmental groups are opposed to the controversial mining practice, including the Natural Resources Defense Council, which believes that the practice lacks necessary safeguards. The focus of the recent Yale study was Washington County, Pennsylvania, which is part of the Marcellus Shale where fracking is extensively utilized to extract shale gas.